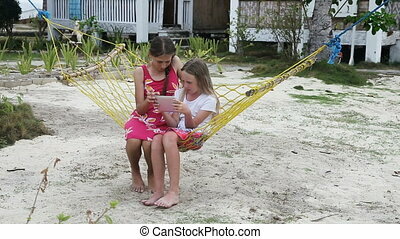 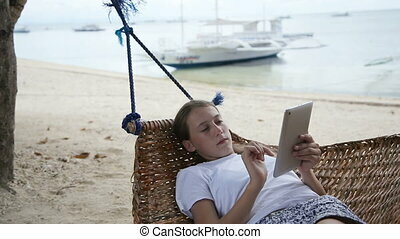 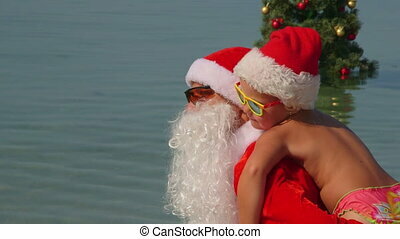 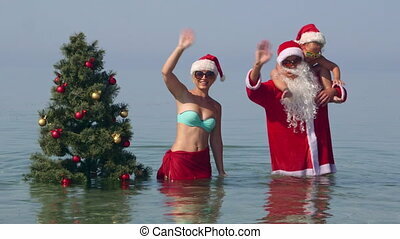 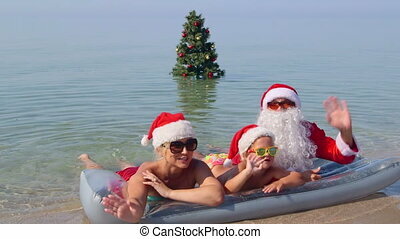 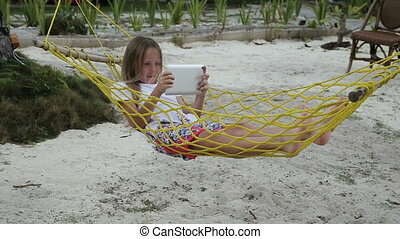 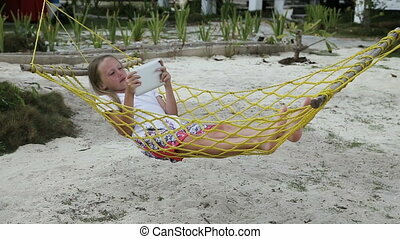 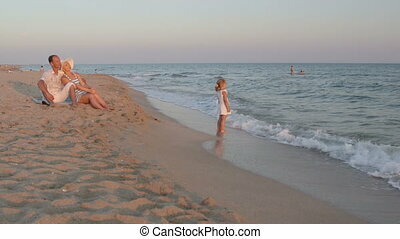 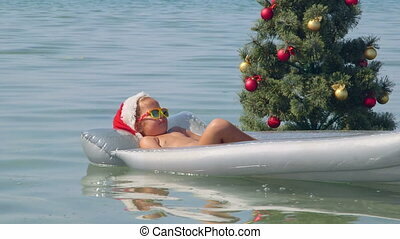 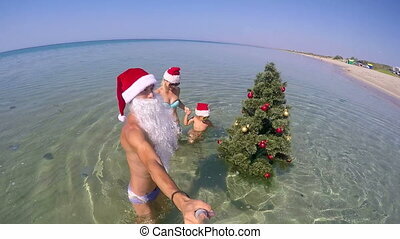 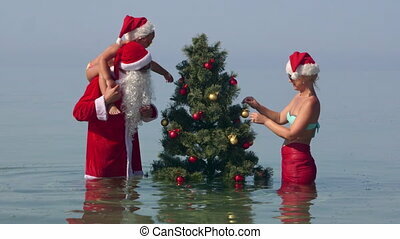 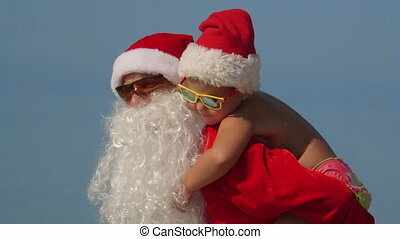 Family enjoying tropical beach holiday near christmas tree in surf greeting looking at the camera. 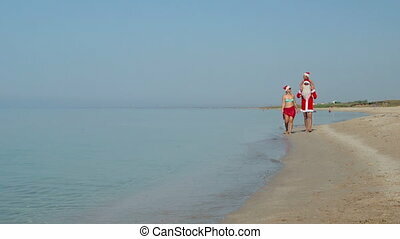 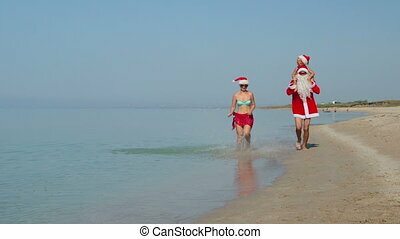 Santa Claus woman walking on the beach near the sea in slow motion. 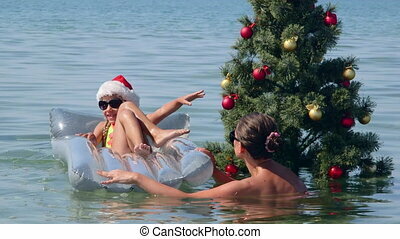 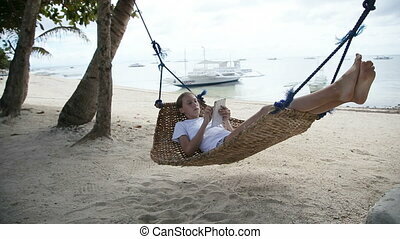 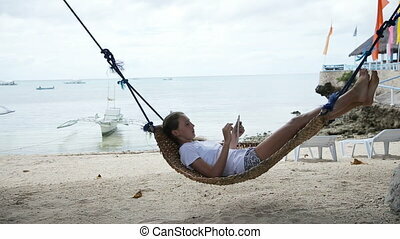 Christmas and new year vacation on Koh Samui, Thailand. 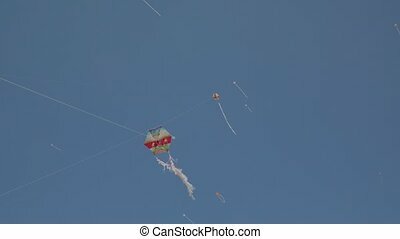 Holiday of kites for families in a park near the beach in Turkey, 4k.